Yesterday we shared our first freebie of the week with you – our Dutch inspired tea light houses. As 2014 is slowly drawing to a close, we’re starting to think ahead to next year. We already have a load of projects planned for the coming months and there are going to be a few big changes around here! We can’t wait to share a few really exciting things with you! Trying to schedule everything is always a challenge and we always have multiple calendars on the go. After sharing our 2013 calendar with you last year, we received some lovely feedback from you guys, so this year we’re sharing our 2014 Little House On The Corner calendar with you, too. 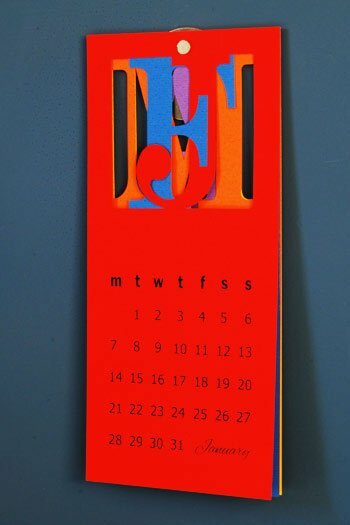 In last years calendar, each month was a different colour. This year, we’re sticking with a similar colour concept, although there is much less cutting involved than last time – promise! 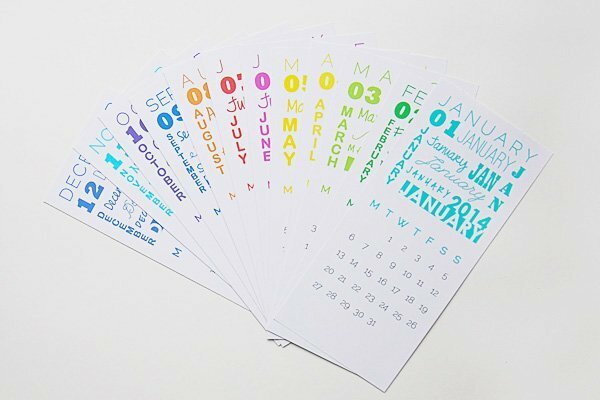 For 2014 we wanted something easy and simple that could just be printed without having to spend hours personalising things. It’s the same size as last years calendar and can easily printed with a standard A4 printer. 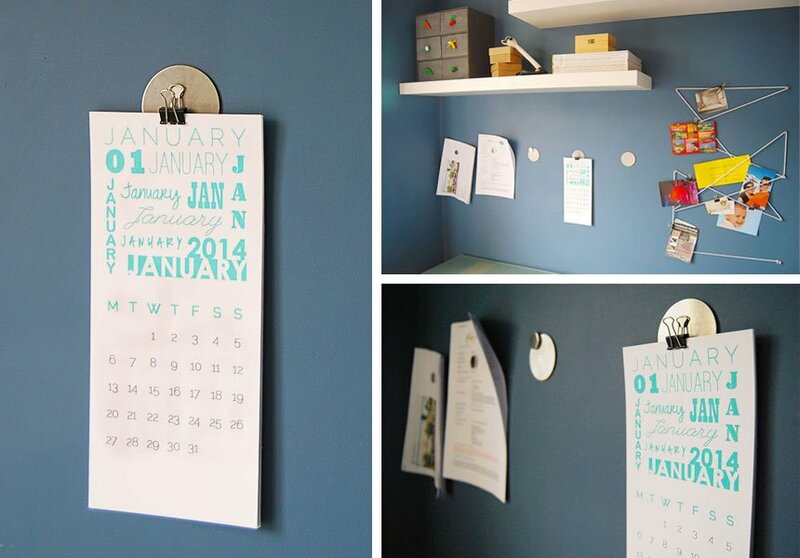 Each month has a different colour and a fairly clean look with a typographic theme. We just used a bunch of free fonts to create an image for each month. 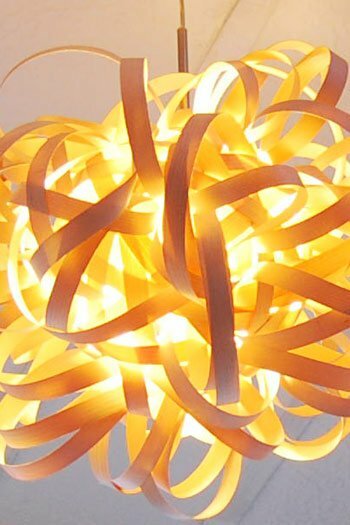 All you have to do is print each page (in unscaled) onto a piece of A4 paper and cut it to size. It really couldn’t be easier. 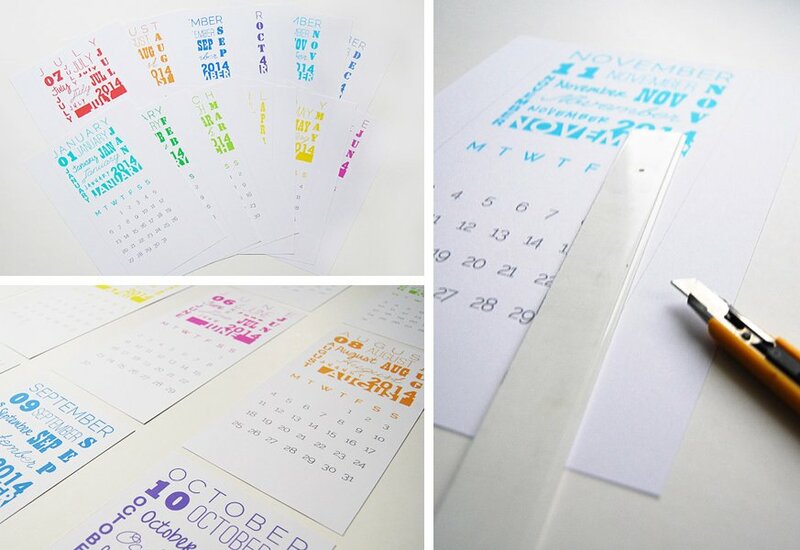 If you’d like to make your own calendar, you can download the free printable here: Free 2014 Calendar. Do you have a way of staying organised? Do you use a load of calendars like we do? Do you already have a long list of project for next year? Thank you so much! Absolutely gorgeous and simple! You’re so welcome, Jacqueline! Glad you like it! Glad you like our calendar, Mariajo! Just checked out your blog and love your choice of calendars – glad to be included in such a fun list! Thank you for this nice calendar! It looks great on my wall at my desk. I use it to organise my FlyLady-Zones and daily tastks- for this it really usefull! You’re welcome, Marenka! Thanks for the feedback, it’s great to heat that it’s actually being used!